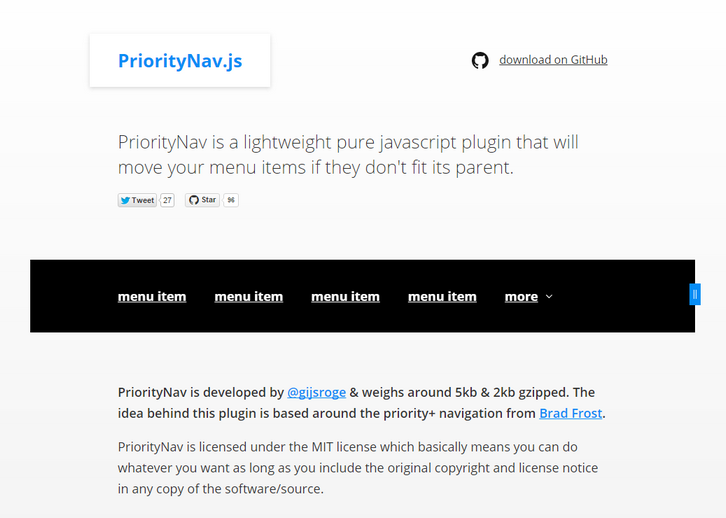 PriorityNav is licensed under the MIT license which basically means you can do whatever you want as long as you include the original copyright and license notice in any copy of the software/source. It works on ie9+ (if you include classList.js), Chrome, Firefox, Safari, Opera. (mobile & desktop).